The Computational Fluid Dynamics (CFD) group uses commercial, open-source and in-house developed numerical codes to solve complex aerodynamic, fluid-dynamic, fluid-structure and multi-physics problems. Research addresses needs from the aerospace and defence contractors, local industry and mining. To support their work, the CFD research group has access to 325 computational nodes working in parallel. This facility underpins integrative engineering solutions – for example, integrated wind tunnel and experimental fluid dynamics studies in aerospace or industrial applications. Apart from using commercial and open-source CFD codes, the group has developed various specialised in-house solvers. These allow for the efficient and accurate analysis of liquid-gas systems, as encountered with dynamic liquid fuel sloshing, compressible and incompressible aerodynamics, and coupled fluid-structure interaction. The in-house solvers use libraries from the open-source CFD toolset OpenFOAM®. The group focusses on providing industry-ready solutions by means of commercial software as well as the in-house developed numerical solvers. The impressive research and development track record of the CFD research group includes store carriage and clearance, modelling of South African Air Force fixed wing and rotary wing aircraft, such as the Hawk, Cheetah, Rooivalk, A109 and Oryx. Work has also includes aeroelastic models, booster separation, ventilation simulations, mining and metals industrial solutions, as well as the analysis of moving bodies. 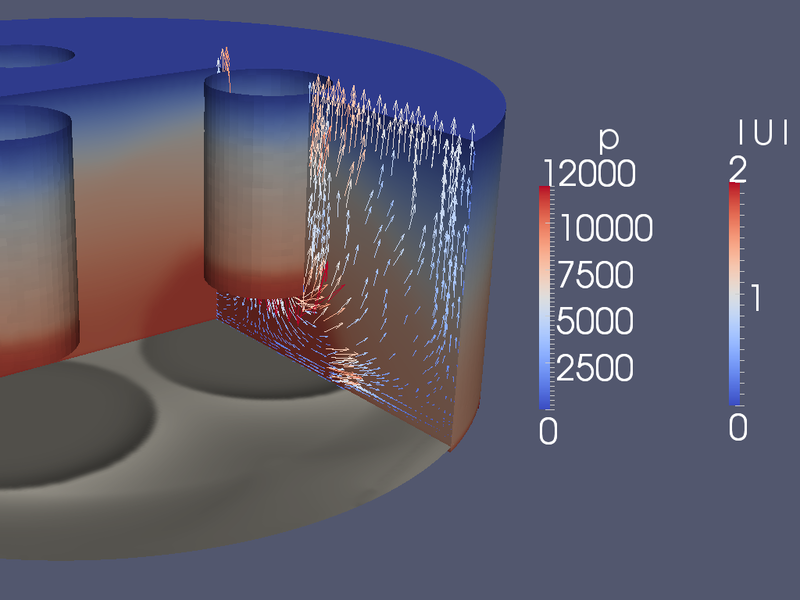 Computational fluid dynamics (CFD) is a branch of fluid mechanics that uses numerical analysis and algorithms to solve and analyse problems that involve fluid flows. Computers are used to perform the calculations required to simulate the interaction of liquids and gases with various surfaces.